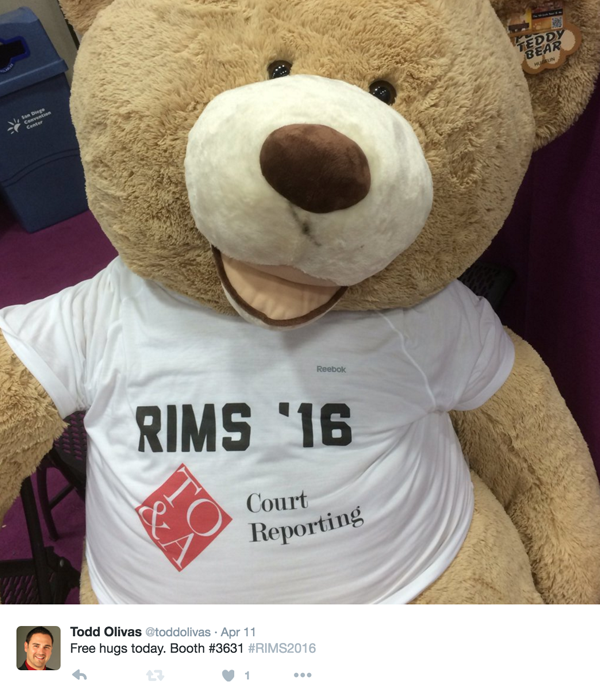 RIMS2016 | Todd Olivas & Associates v3.0 | Court Reporting Services in Orange County, Riverside, San Bernardino, San Diego, Los Angeles, Irvine, Santa Ana, San Jose, Sacramento, Fresno, San Francisco, Bakersfield. TO&A employs no court reporters, interpreters or videographers of our own. 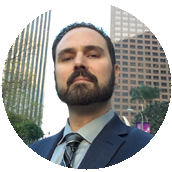 The providers we send are fully qualified and reliable independent contractors. 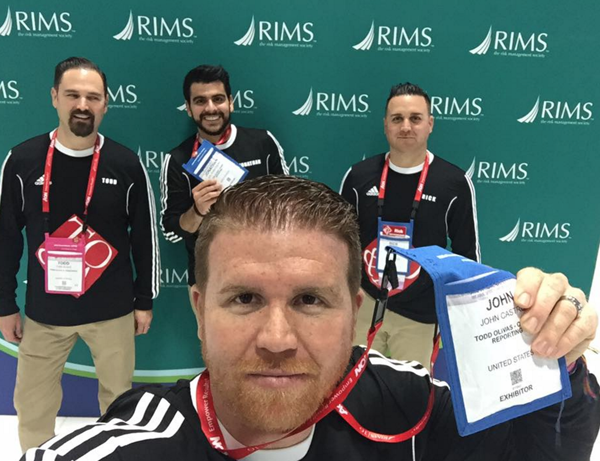 What a wonderful RIMS2016 conference this has been. 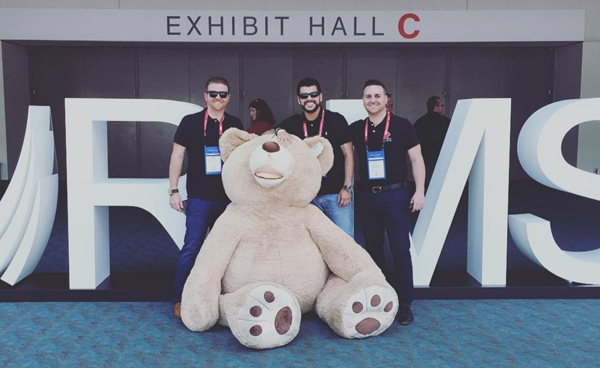 I decided to showcase our experience here this week, hosting a vendor booth, hanging out with clients, and generally having a great time in San Diego. It was typical weather for San Diego during RIMS16 this year... sunny and beautiful! 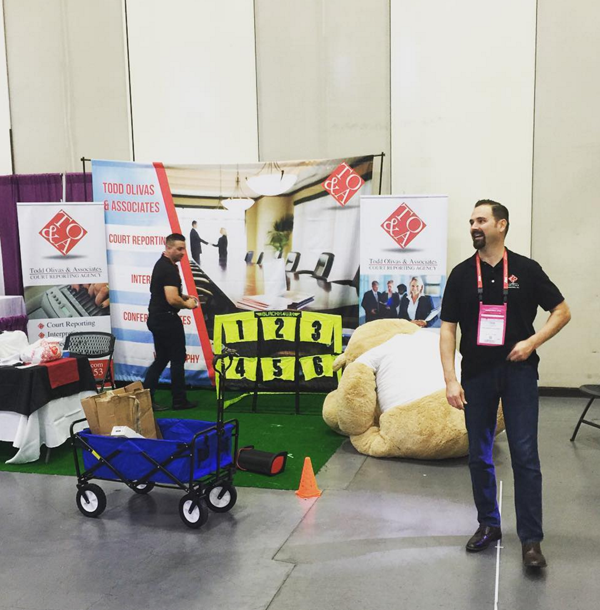 We got to work prepping our booth for the big event. Our plan was to stand out as much as possible. 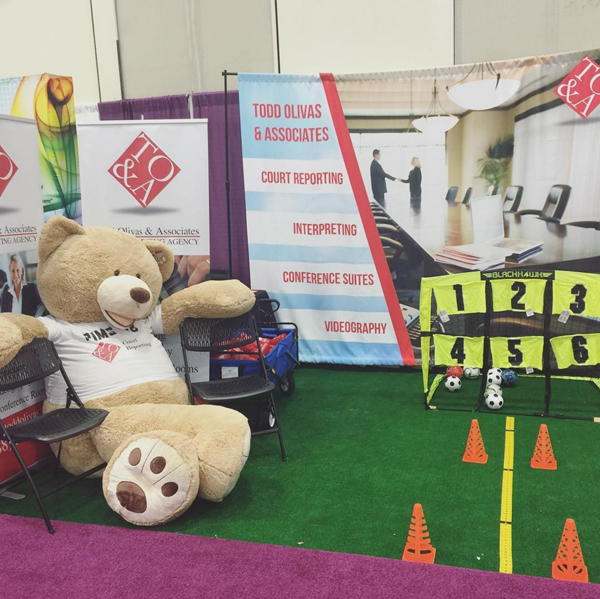 We had a giant teddy bear -- who we call Toddy Bear -- plus we have a fun little soccer game planned for all of our booth guests. It's a hug life at the TOA booth. You wouldn't believe how popular this bear was. Everybody -- even full grown men -- couldn't resist a hug. 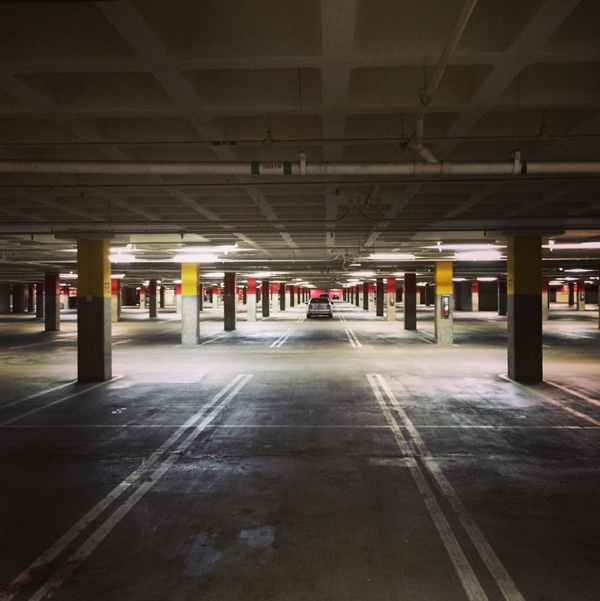 The calm before the storm. 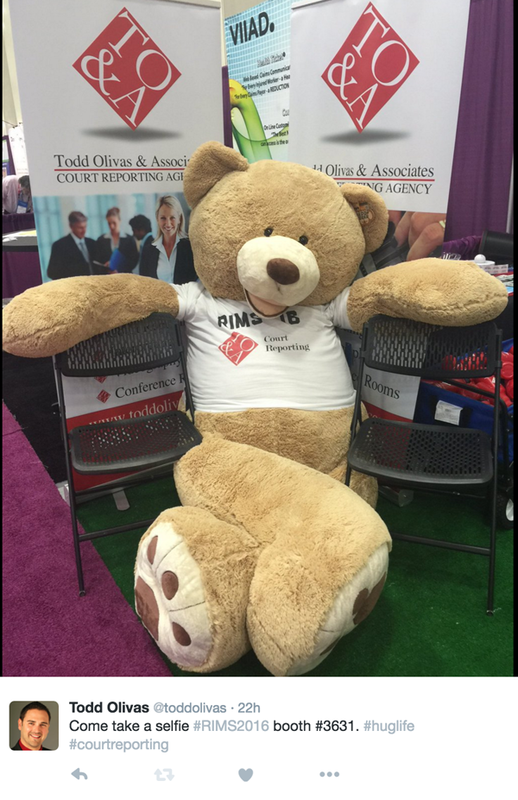 Todd Bear getting his rest before a busy convention! 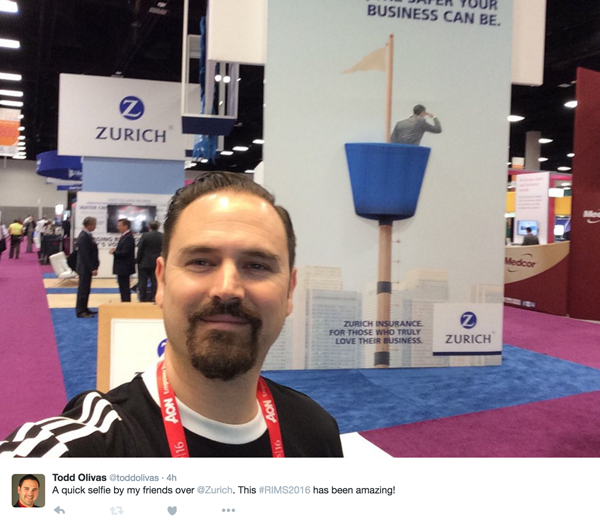 Owner, Todd Olivas, strolls through the convention hall to grab a selfie by our Zurich friends. We had to order a size 7X t-shirt in order to fit Toddy Bear. Wow, now that's big! During the convention our booth got really busy. I guess our soccer game was quite the hit! 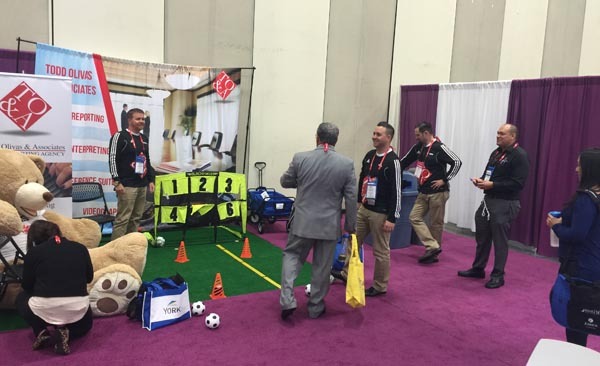 The rules were simple... score a goal by hitting the miniature soccer balls into various slots and enter into our drawing to win a tablet. There were some really good shots out there. Congrats to the winners! 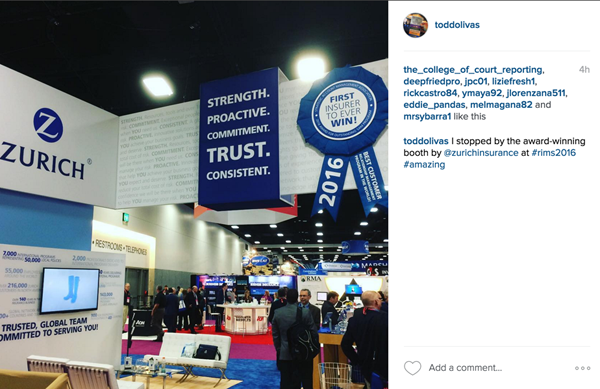 We have a core value of creativity at Todd Olivas & Associates. (Read more about that here.) 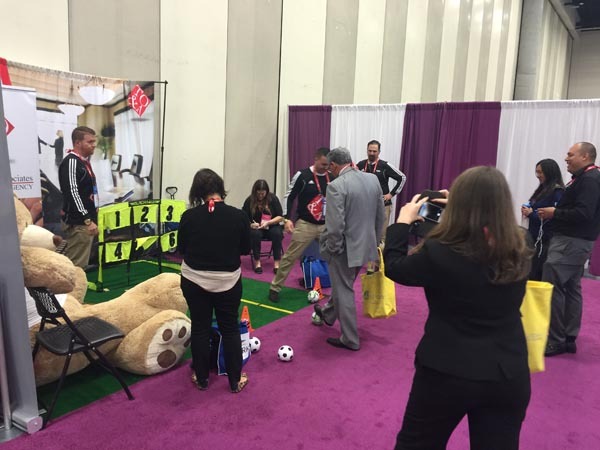 So our approach to exhibiting at RIMS 2016 was to be creative even in the way we dressed. 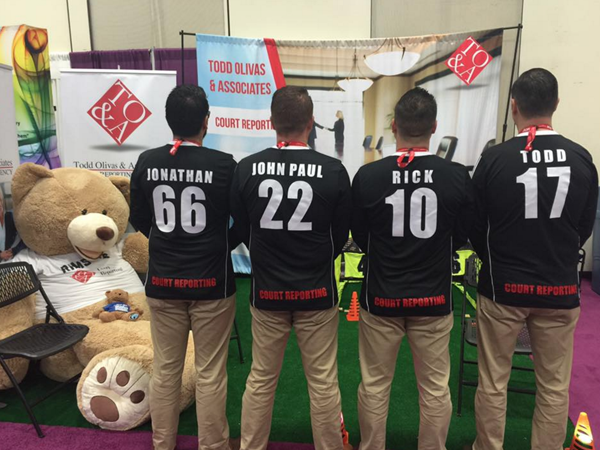 Our theme was soccer so we knew we needed these custom soccer jerseys. Who needs badges? We don't need no stinkin' badges...Jk, yes we do. And we were proud to wear them! 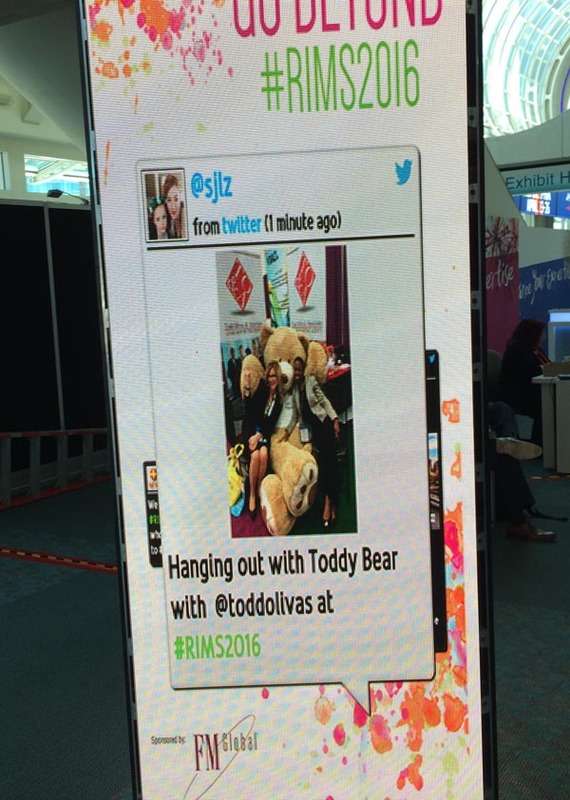 When Toddy Bear is in front of the RIMS sign, it spells ROMS. Ha ha! Apparently, our tweets were viewed live in the lobby. We made it to the big screen! 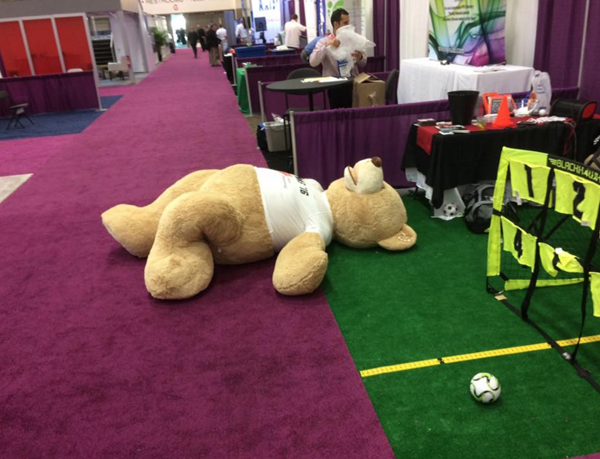 After nearly four days of RIMS 2016 convention, phew! It's all over. And Toddy Bear is pooped out. Heading home. Toddy Bear gets a ride in the back of our truck! See you next year, everybody!